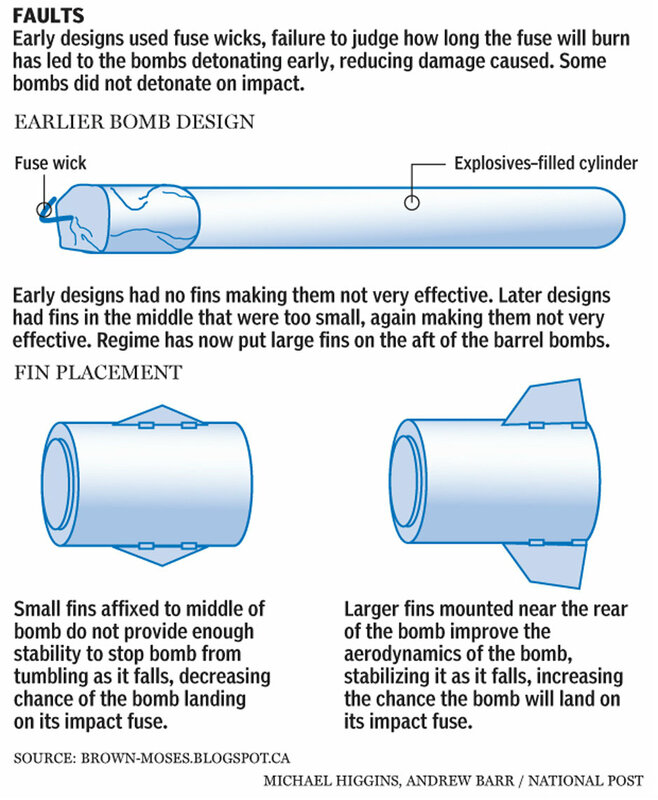 HRW, Amnesty International and assorted Humanitarian offshoots are on a ceaseless crusade against the SAA use of barrel bombs. 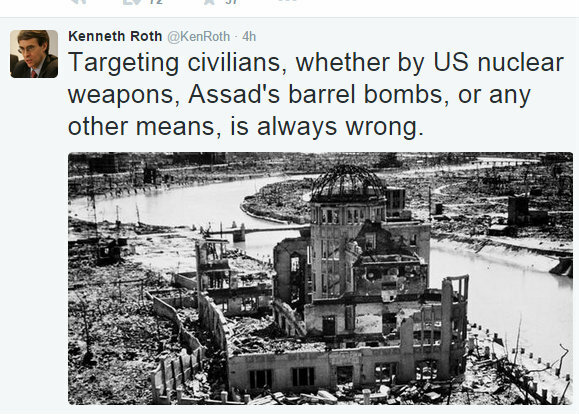 Today, Ken Roth even compared the use of Barrel bombs to the destruction caused by the nuclear bomb used on Hiroshima whilst failing to mention that the Israeli bombardment of Gaza in 2014 can very credibly be compared to Hiroshima in its destructiveness and tonnage of explosive dropped on innocent civilians in the besieged & battered enclave. Barrel bombs are also responsible for all refugees…not our Governments imperialist, murderous plundering of sovereign nations. Then the “delectable” Annie Sparrow [ Roth’s wife] is blaming all destruction in Idlib on the SAA. Never a mention of US backed terrorist chemical weapons, hell cannons, mortars, suicide bombers, beheaders, racists and rapists, on their Captagon fuelled murderous invasions of civilian areas. It must be remembered that the SAA is fighting a war but not against anti government rebels as depicted in the mainstream media, rather its a dirty war against a merciless, depraved and bloodthirsty proxy army funded, armed and supported by the Empire interventionist alliance [US, Turkey, KSA, Jordan, NATO, Israel]. It is now well documented that Turkey is the main rat run, supplying weapons, supplies, chemical weapon ingredients and manpower often via the pseudo aid convoys. Serena Shim reported that WHO trucks were running arms and equipment to “rebels” shortly before she was killed in a mysterious car accident, after receiving death threats. In war, civilian life is lost, it is unavoidable and particularly when terrorists embed themselves into civilian areas, converting civilians into human shields. Of course this is never mentioned by the Ken Roths and Annie Sparrows. Neither is it mentioned that the SAA make every feasible effort to evacuate densely populated civilian areas prior to targeting terrorist cells. Another aspect of this warfare that is consummately ignored are the terrorist mortars and hell cannons that cause extensive structural damage and massacre civilians with a range of up to one mile. How is it that these HRW “witnesses” on the ground [presumably under a barrage of missiles from both SAA and “rebels”] can categorically state what is causing damage and loss of life. 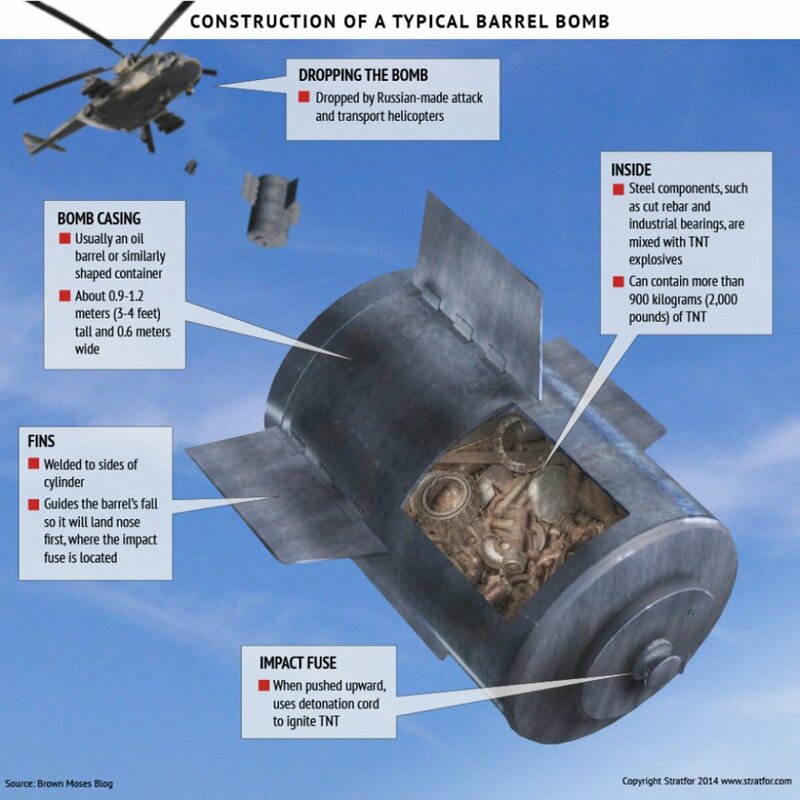 The unreliable barrel bomb or the ground based and mobile hell cannon units that fire upon civilian areas indiscriminately or even the terrorist dug tunnels, packed with explosives and detonated as a diversion before they attack SAA/NDF positions. This is a first hand account from an Aleppo resident under fire from terrorist mortars and shells. 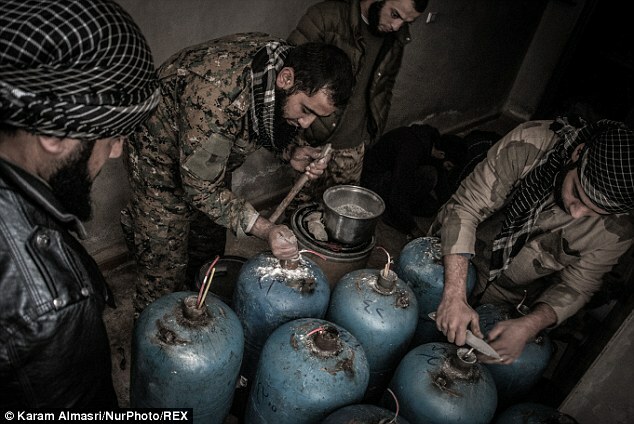 ” The people are crying and terrified by the “moderate peaceful opposition”. But we can’t bomb them because the “international community” will blame the Syrian army of using their unprecedented super ultra weapon that is way stronger than a nuclear bomb: Barrel bombs! 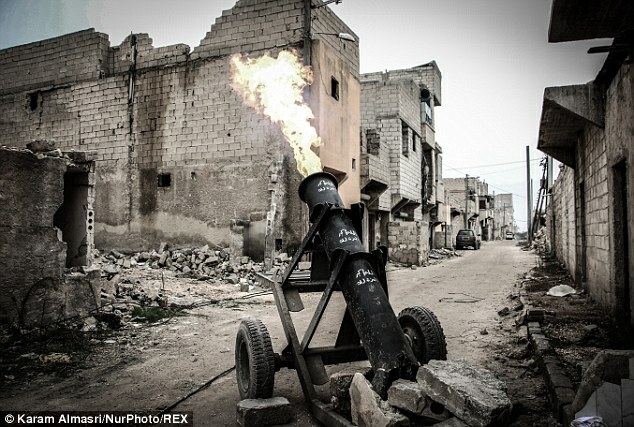 The Hell cannon is a “wildly inaccurate” weapon even according to the Empire one man propaganda band, Syrian Observatory for Human Rights. 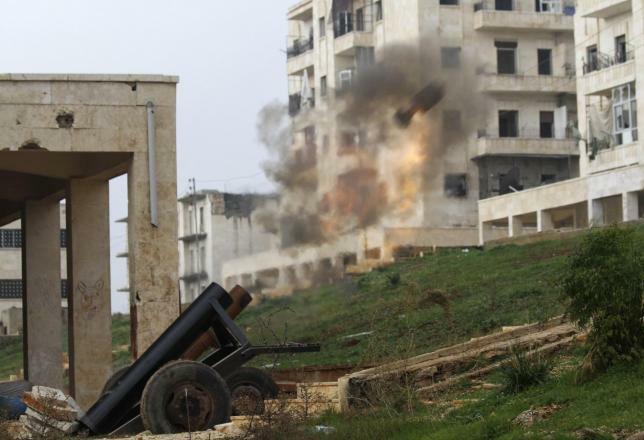 In Aleppo the SAA is marooned in the centre of the Old Citadel and is fired upon by “rebel” positions scattered throughout the city. 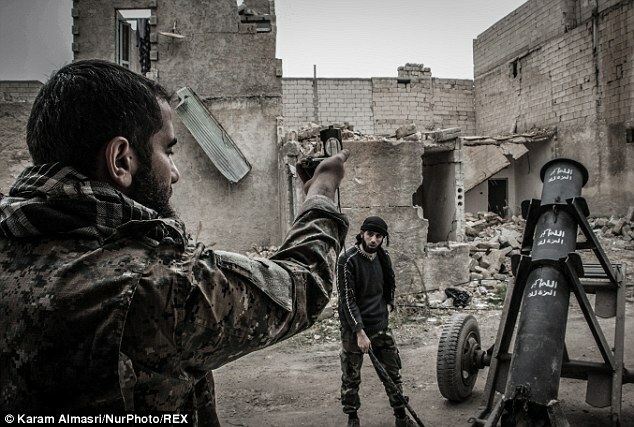 These inaccurate weapons are known to have caused massive damage to ancient Aleppo edifices but have also torn into civilian areas and ripped civilian limbs and bodies into shreds. There is, undeniably, a need to report upon all mortalities as a result of this devastating proxy conflict. However the glaring bias towards the demonization of the legitimate national fighting force, battling a vicious, brutal and mercenary enemy is a despicable insult to the intelligence & courage of the Syrian people and a deliberate obscurantism of truth and the extent of the duplicity and hypocrisy of our own governments. Responsibility for the refugee crisis, the horrific deaths, rapes and kidnapping of civilians across the Middle East may be laid squarely at their blood soaked feet. August 9, 2015 in Aleppo, Syria. Watch this. It may be the answer.